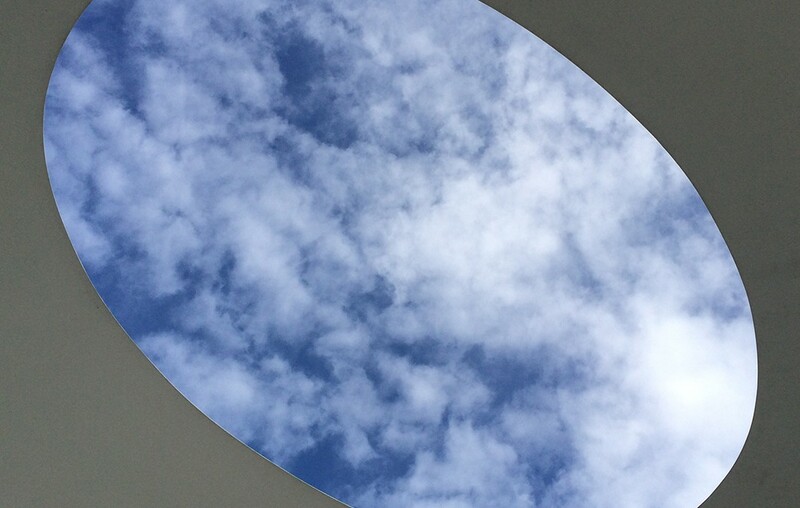 The view of the sky from Tewlwolow Kernow makes it a stunning contemplative space. This underground elliptical domed chamber is one of many exciting sculptural works at Tremenheere. However Tremenheere is not just about sculpture, it’s winding pathways take the visitor on a journey through continents. 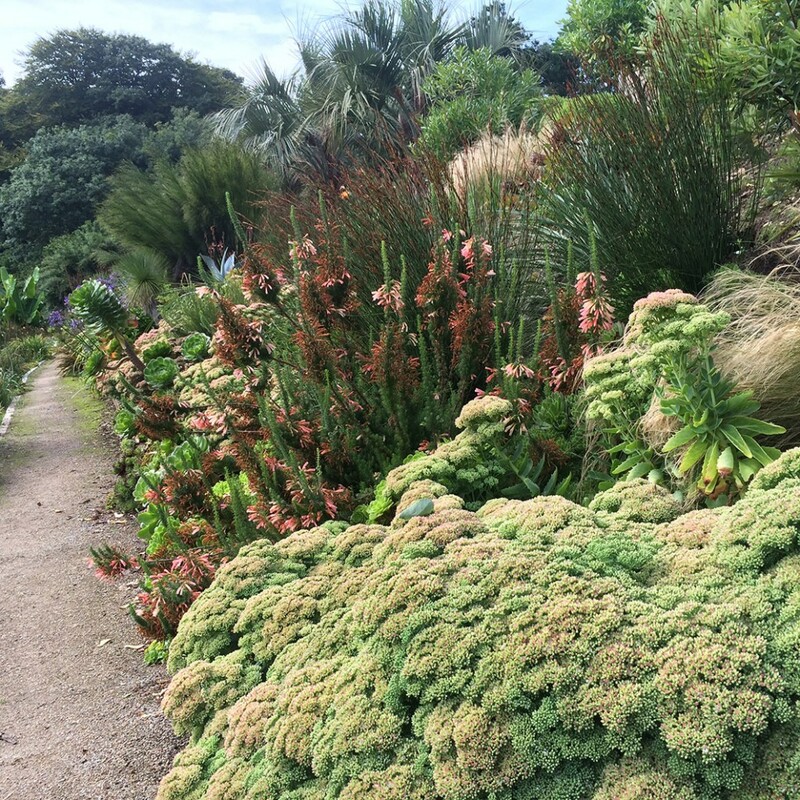 The planting is unique and exciting and has developed beautifully since the garden was opened in 2012. The journey begins along winding pathways through dense woodland that are reminiscent of the Australian subtropical forests. 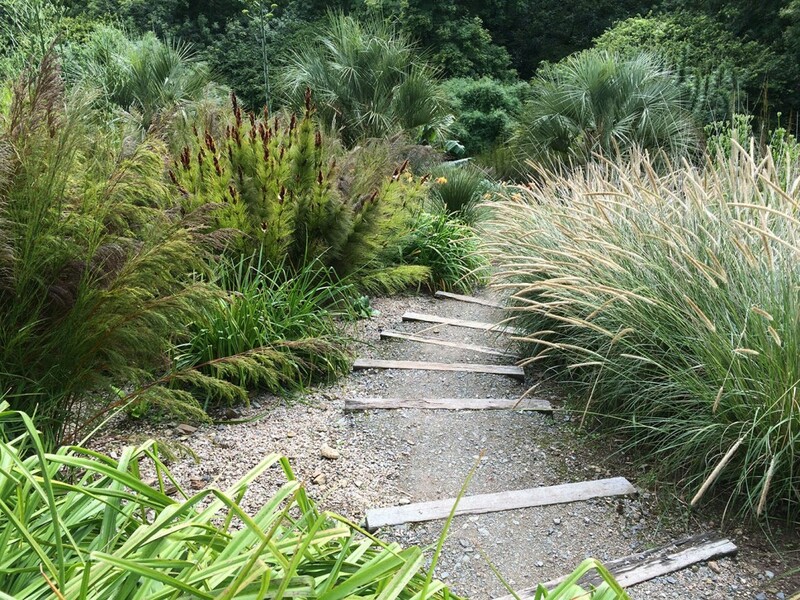 Bold stands of grasses and Restios create another unique atmosphere and provide a perfect transition as you climb the steps from the exotic woodland below to the mediterranean planting on the sun baked slopes. 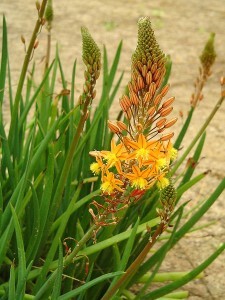 The abundant upper borders have the atmosphere of the Western Cape of South Africa and make a great reward after the climb. 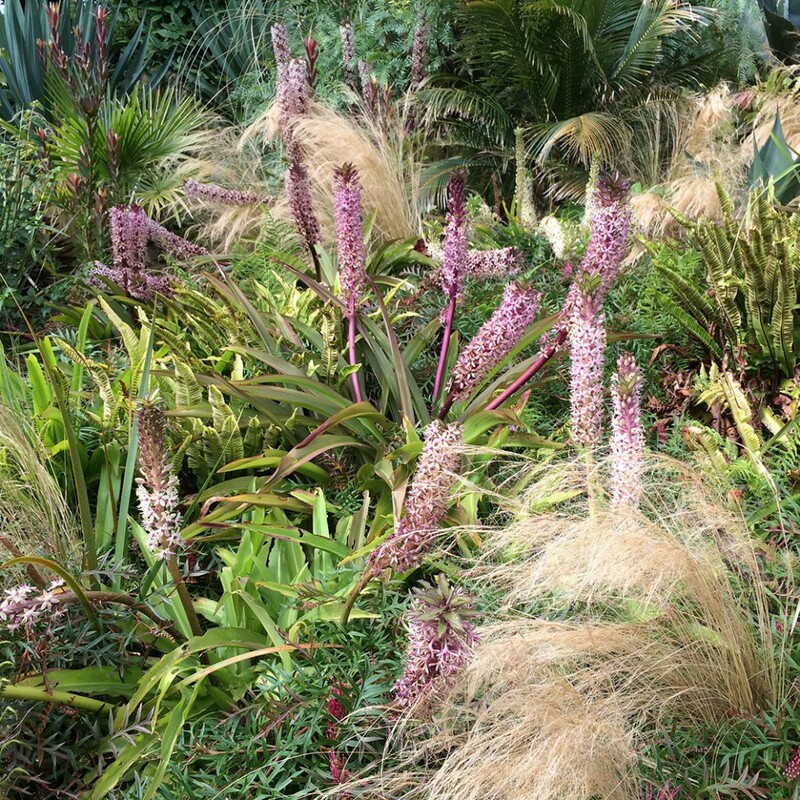 There is literally a riot of planting with the gravel-mulched terraces being home to succulents, agaves, aloes, watsonias and many different types of palm. 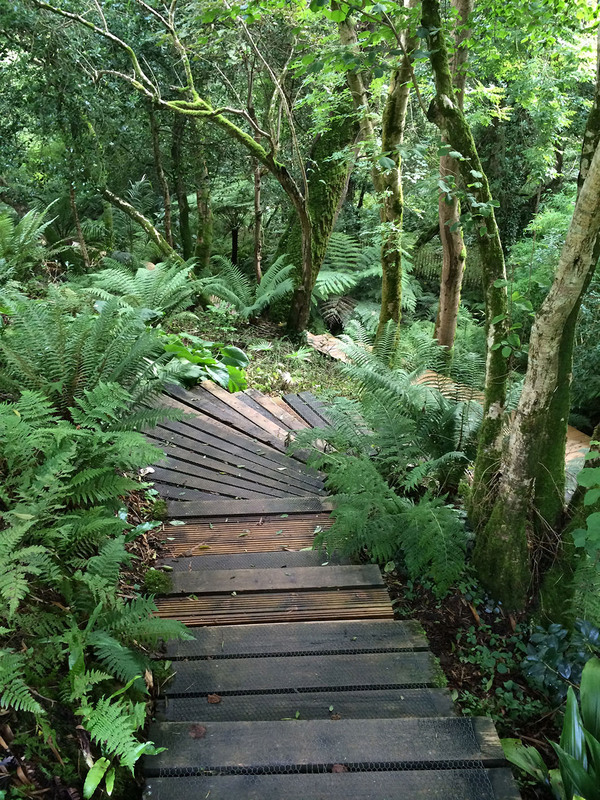 If your not holidaying abroad – a trip to Tremenheere will give you a taste of another world. It’s also great to hear that the structural slate elements of Darren Hawkes gold medal winning Chelsea garden are due to be installed at the site – so yet another good reason to visit. At the end of the visit Tremenheere Nursery has an excellent selection of plants accompanied by really knowledgeable advice. 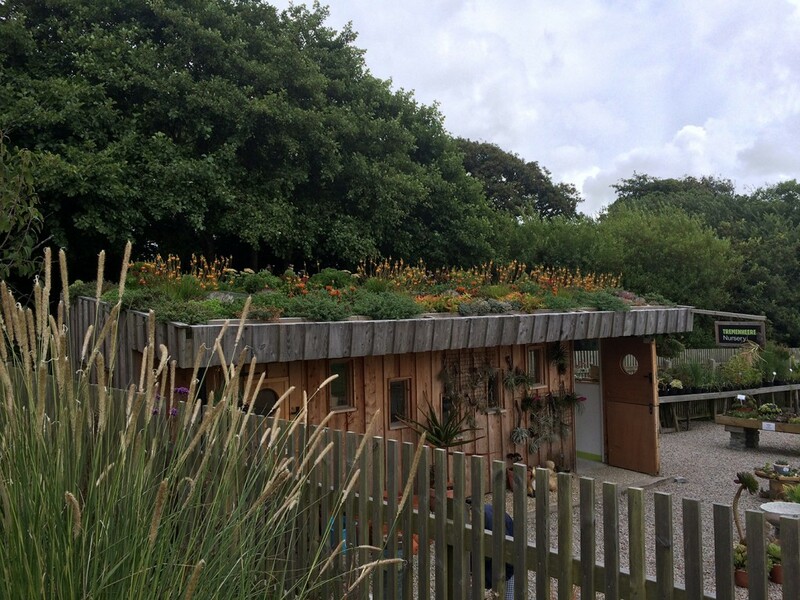 When I visited in August, the green roof was looking stunning. 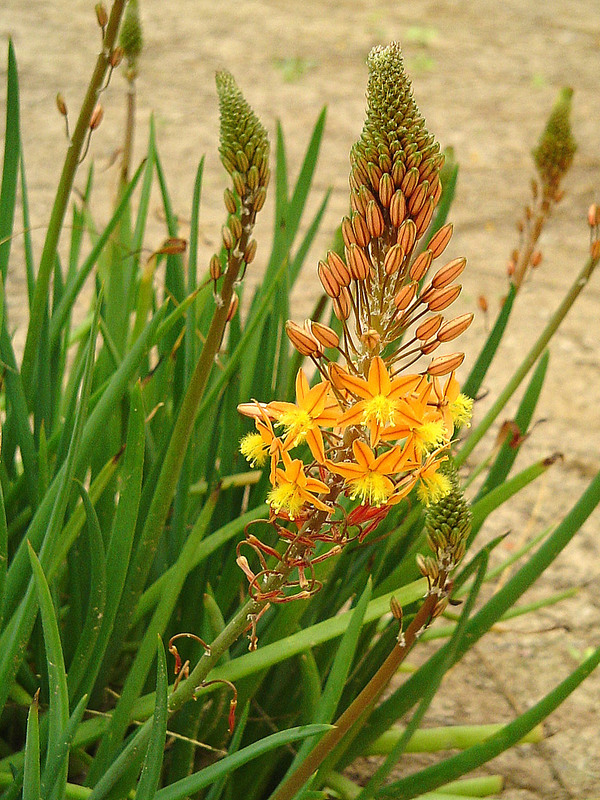 I particularly admired the orange Bulbine frutescens – and was cheerfully given a cutting – not something that happens at every nursery visit!